EDoomS60 is a Doom port for symbian S60 phones. I began this port about one year ago. By this time, only Wildpalm Doom 7650 was available for S60 phones. It could only run shareware Doom. For personnal reasons, the development has been halted. 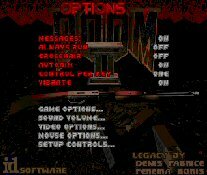 In the meantime, the excellent C2Doom was released for S60 and S80 smartphones. 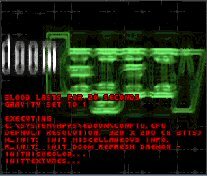 EDoomS60 is a direct port of EDoom by Peter van Sebille, a Doom Port for Symbian UIQ. As it is based on Doom Legacy, it could run some elaborate custom wads. Since, the community could benefit of these wads on their S60 phones, I decided to continue the port until I have a useable version. It could also be a good code base for Heretic & Hexen ports. 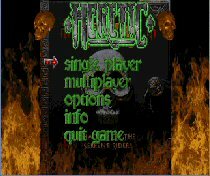 - Heretic is now supported. - Added the "-iwad " command line option, to choose from several IWADs in the E:\Doom folder. - Added support for screen rotation choice : Left, Right or No Rotation (portrait). In "portrait" mode, you can use the phone "shift" key + the phone joystick to scroll the view. - dehacked.c from DoomLegacy 1.42. - Added command line support. - SIS file bugs fixed. - There won't be multiplayer support since I couldn't test it. EDoomS60 has been successfully tested on the following phones : Siemens SX1, Nokia 6630, Nokia 6680, NGage. EDoomS60 is released under the GNU General Public License (GPL). EDoomS60 is donationware, so if you like it, please consider making a Paypal donation. 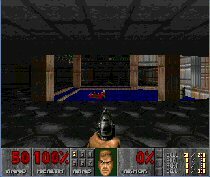 id the creators of Doom.